When I pass by a Tokyo Bubble Tea branch anywhere in the metro, I've always perceived it as a place that's just for afternoon drinks and desserts. Is it just me or is it how you think of it as well? That perception totally changed one afternoon when I finally got to try not just their new special drinks, but also their excellent food items. 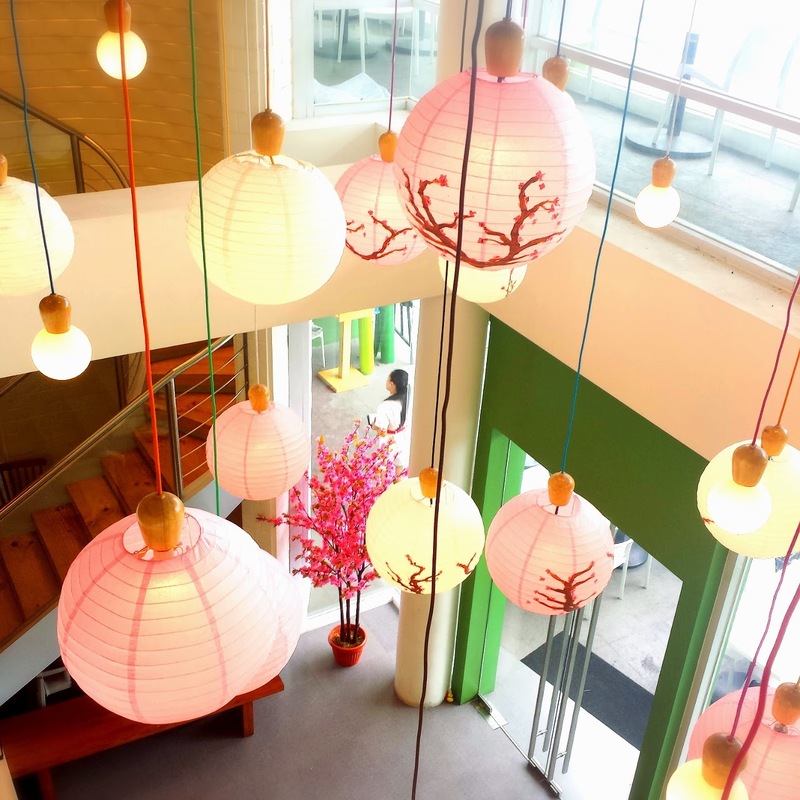 I visited the largest branch yet in Katipunan and instantly felt the Sakura season in the air. Japanese cherries or sakura make up a tree with cherry blossoms, which is one of the most photographed scenery in Japan. Teaming up with the season, Tokyo Bubble Tea offers the newest variant of milk tea and milk shake to its fans - the Sakura Milk Tea and Sakura Milk Shake. The Sakura Milk Shake (Php175) is light, tasty, and very refreshing. Its base is made of green tea combined with milk, vanilla essence and cherry flavor. It comes with bubbles (pearls in brown sugar syrup) by default, but can be customized by changing the sugar level (0%-100% in increments of 25%) and adding or selecting a different topping of taro cubes, mango bits, vanilla ice cream, coffee jelly, red beans or egg pudding for an additional Php25 per topping. Tokyo Bubble Tea isn't all about milk teas and milk shakes. Whether you like appetizers, dessert or full meal, they have a wide variety of food items to choose from. It's a "restaurant" after all. Let me share them with you as you read on. First up - Bulgogi Nachos (Php245) that can be shared by 2-3 people. 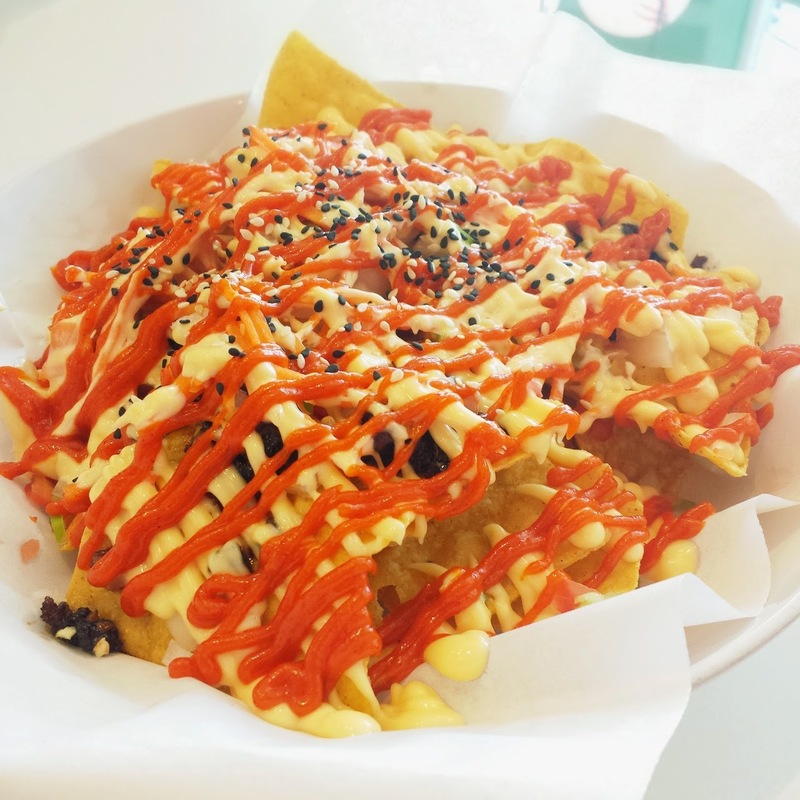 A good order as snack or appetizer, this is a mixed of spicy mayo, onion, tomato, and carrot strips together with bulgogi (ground meat with Korean sauce) thrown on top of crunchy nachos. Really good! Fan of maki? 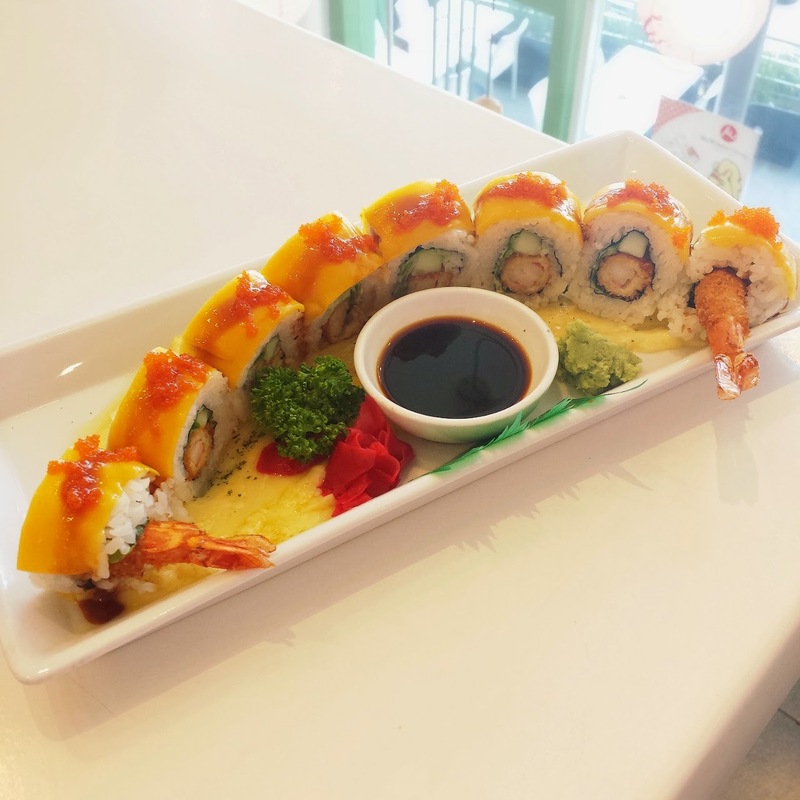 Try the Nippon Ebi Maki (Php285) composed of breaded prawns rolled in sushi rice, topped with mango, all laying on mentored mozzarella cheese base. 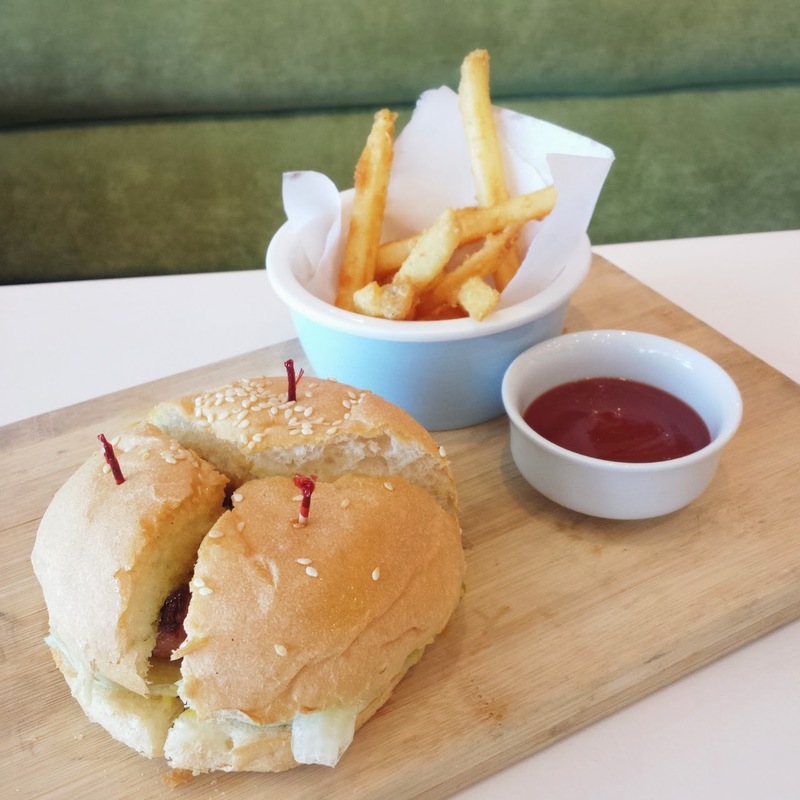 Samurai Burger (Php248) is also a great snack or meal for the hungry. This is a far cry from the usual burgers available elsewhere. In between the sesame seed bun are lettuce and potato frits on top of a juicy pork patty, flavored by a mix of apple sauce and honey mustard. It is also served with crunchy fries, which Tokyo Bubble Tea makes locally in their commissary kitchen. On to the entrees, I was able to try the Omurice with Steak Mushroom Sauce and Hamburg Steak (Php238), one of the crowd favorites. 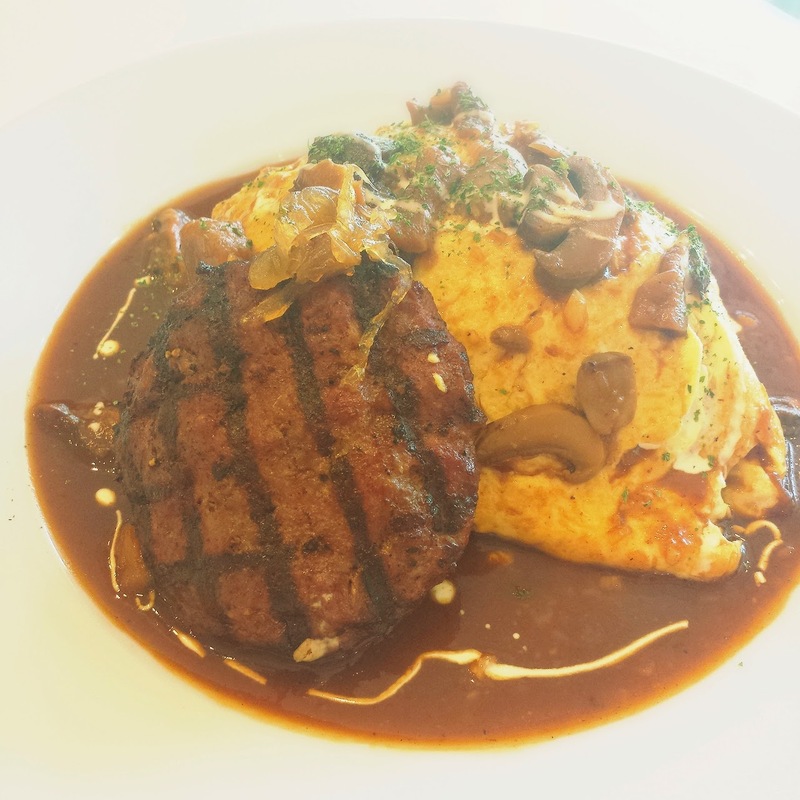 It's flavorful fried rice is covered with omelet and special mushroom steak sauce, served with a tenderly cooked beef hamburg on the side. 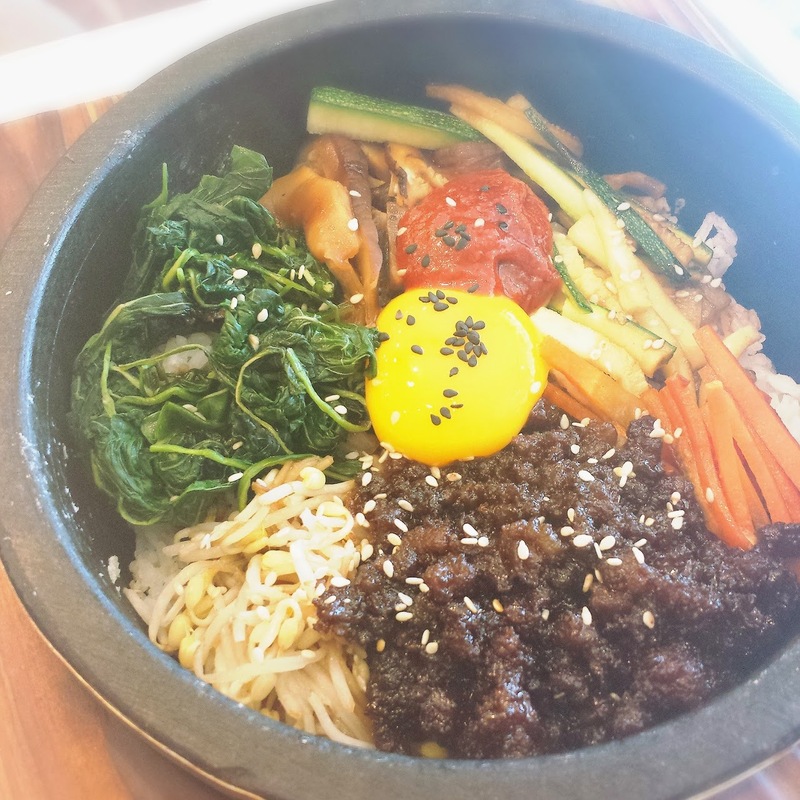 This next dish, the Korean Bibimbop (Php285) was specially requested by the resto's frequent visitors to be restored to the new menu when they tried to remove it. Well, it came with a reason. It's really, really delicious! What do I get with it? Rice mixed with ground beef, white onion, garlic, Korean sauce, zucchini, carrots, bean sprouts, spinach, mushroom, egg, and chili paste. For the last entree, here comes my favorite - Grilled Porkchop on Roasted Tomato Sauce (Php248). 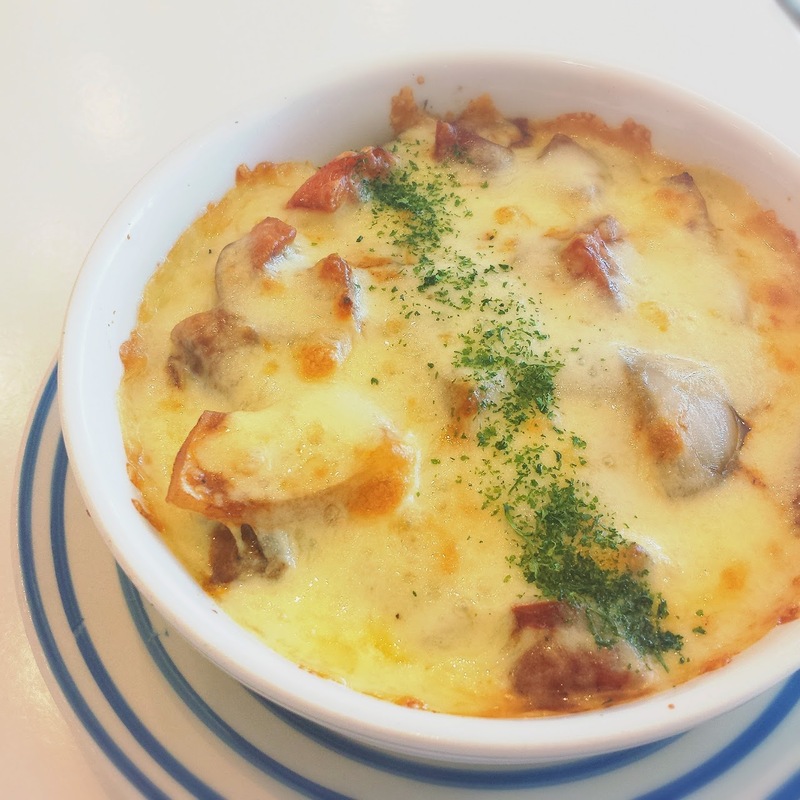 I was like a kid thrilled to find a treasure of grilled pork cutlet marinated in special tomato sauce underneath a rice-covered melted mozzarella cheese mixed with caramelized onions. Yum! 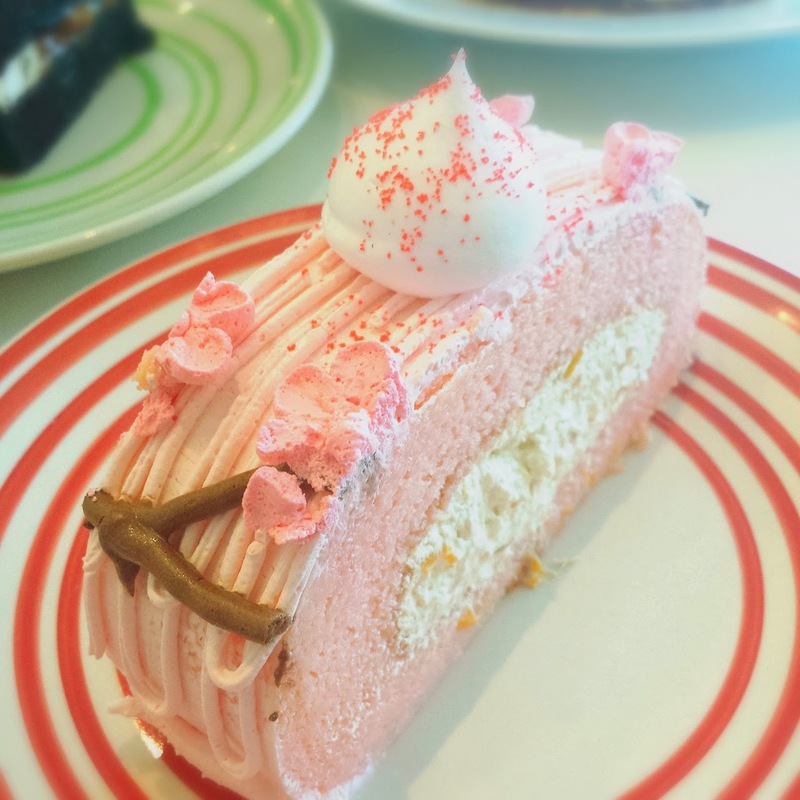 All of those delectable food orders were capped off by Honey Bee Patisserie's Sakura Mango Roll (Php120/slice), a strawberry chiffon roll with mango in cream at the center. It's not overly sweet - just enough to balance the palette from the meal earlier. 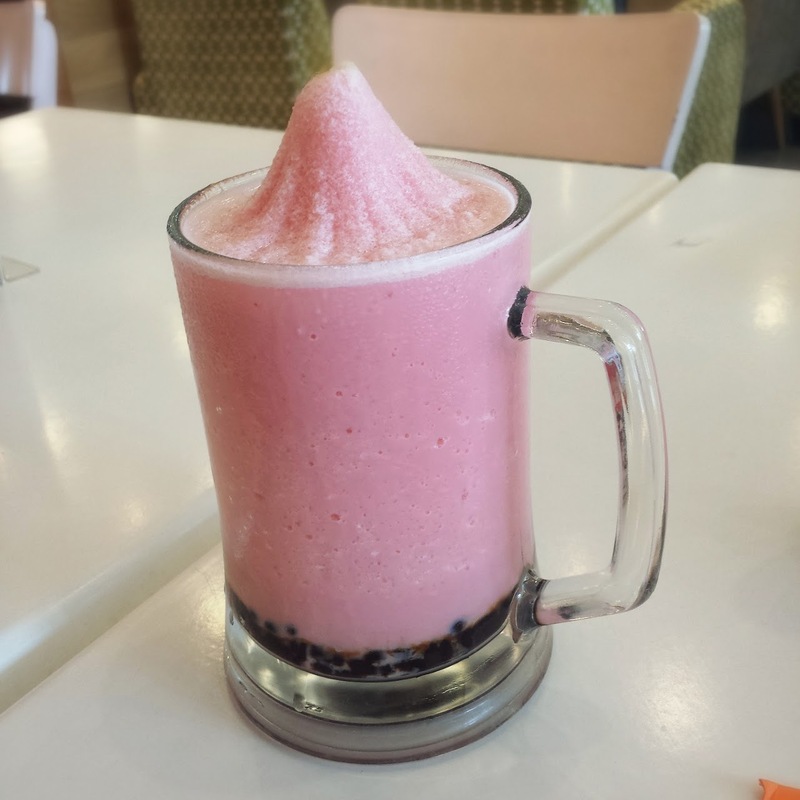 My experience trying out Tokyo Bubble Tea's food and drinks was excellent! I will surely come back the next time I crave for a full meal, drink and dessert combo. I highly recommend their food! The sakura mango roll looks delicious. I like also that omurice with steak mushroom sauce and hamburger steak. Yummy!